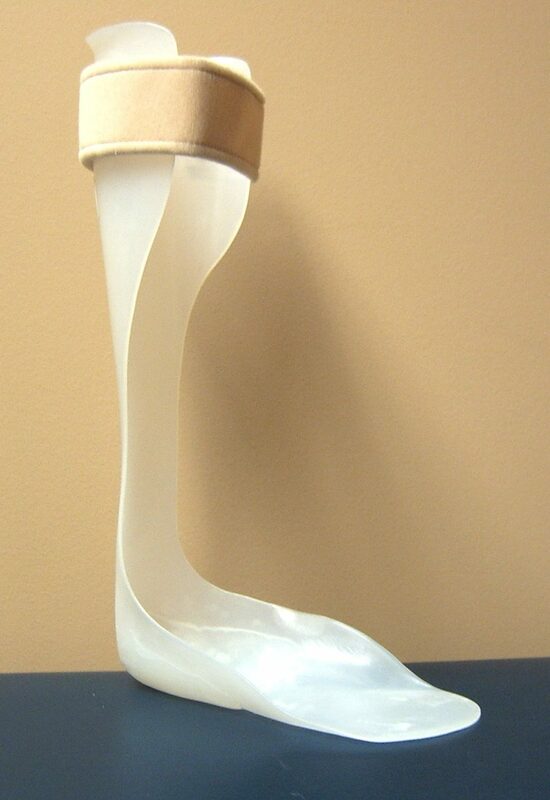 An ankle-foot orthosis (AFO) is a general name for a brace that encompasses the foot, ankle and calf. 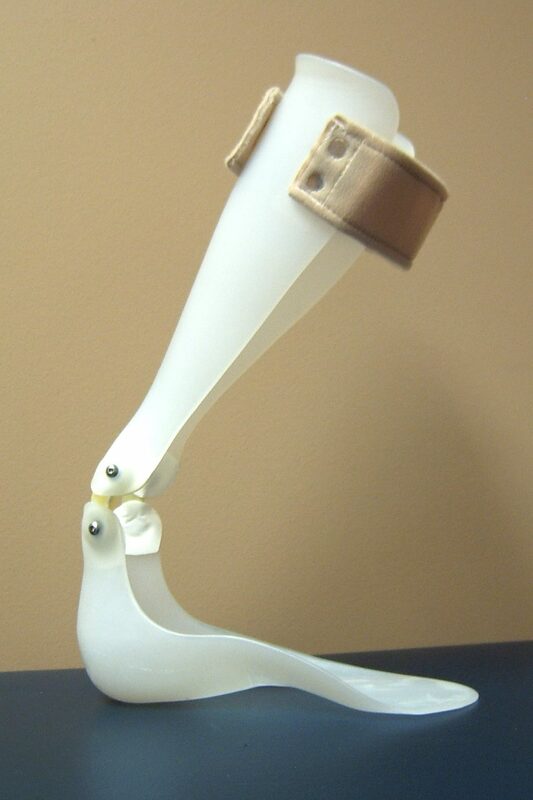 Its design depends on the type of control or correction that is applied to the foot or ankle. 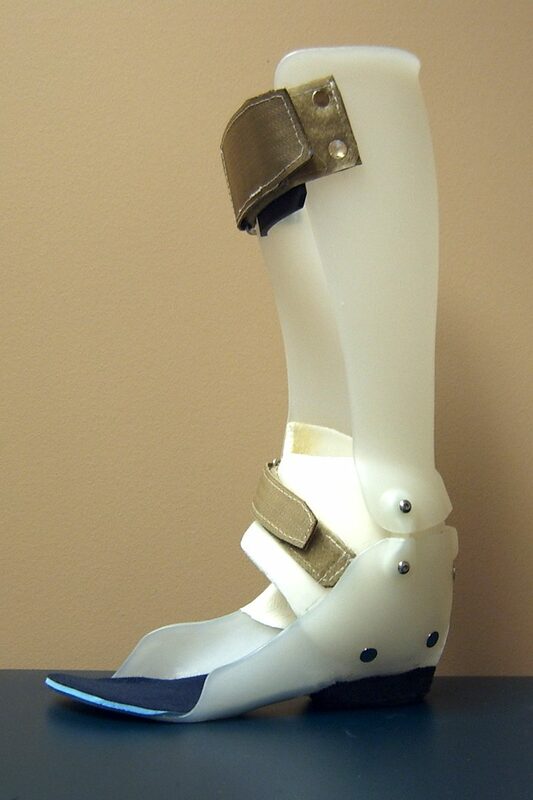 These include flexible, tubular, rigid, hinged, reinforced, conventional and off-loading. AFOs can be made of high temperature thermoplastics, laminated resins, thermo-formable composites, metal and leather, or a combination of these materials. 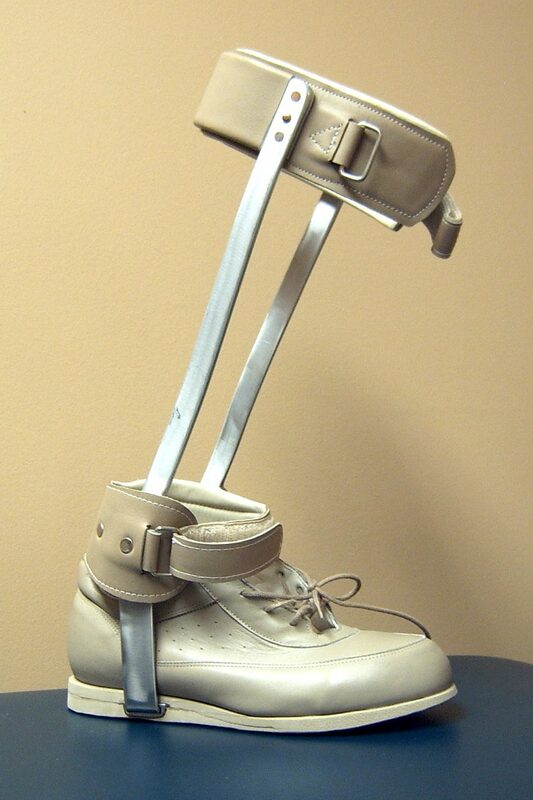 They are worn inside non-custom shoes provided they have adequate depth and width.